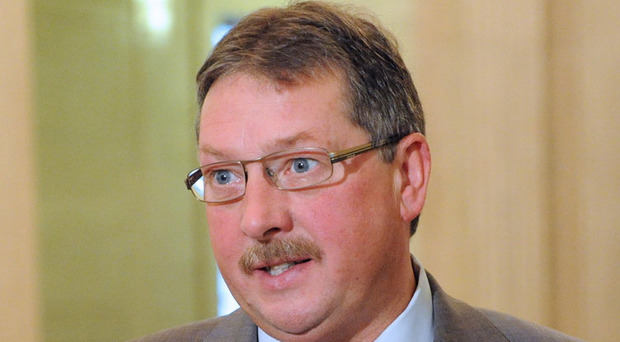 The DUP's Brexit spokesperson Sammy Wilson has rejected claims his party asked for money in exchange for backing Theresa May's Brexit deal. Last week, the party met with the Prime Minister and other senior cabinet figures, including Chancellor Philip Hammond for Brexit talks, prompting speculating a "money-for-votes" scenario was on the table. In 2017, the DUP controversially entered a confidence and supply agreement with the Conservatives, propping up the Tory government in exchange for an extra £1bn in public funds for Northern Ireland. Speaking to BBC NI, Mr Wilson rejected claims that money was offered to the DUP during last week's meetings. "There is no bribe and we wouldn't have accepted a bribe," he said. "It was the government who decided to involve the chancellor, not us, the issues at stake are far too high to simply say it can be resolved with financial incentives. "If people drew their own conclusions from that, then they don't understand what we are about." Speaking on Sunday, however, Philip Hammond refused to rule out offering the party a financial incentive. He said: "This isn't about money, it is about political assurance. We are coming up to a spending review and we will have to look at all budgets, including devolved block grant budgets, in that spending review. Of course we will." Sammy Wilson said his party will not rely on "promises and assurances" from the Government and are not considering a no-deal scenario. "If you say you're going to settle for no deal, people think you're just giving up," he added. "We are not and won't until this deal comes back to the commons and will seek to ensure the government do what it promised it would do."